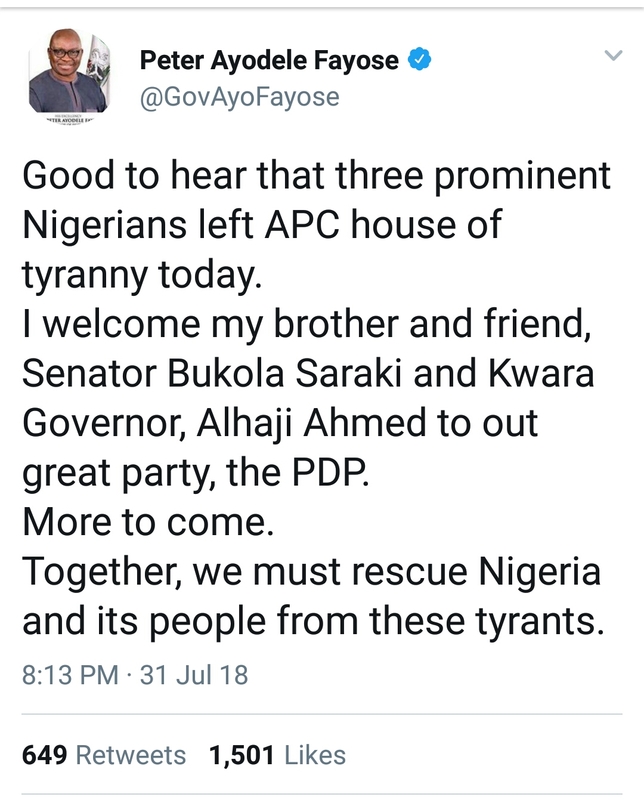 Governor of Ekiti state,Ayodele Fayose has reacted to the senate presidents exit from the ruling All progressives congress and rejoining the opposition PDP. He took to his twitter handle and wrote "
"Good to hear that three prominent Nigerians left APC house of tyranny today. "I welcome my brother and friend ,senator Bukola Saraki and kwara governor,Alhaji Ahmed to our great party,the PDP. More to come. Together we must rescue Nigeria and its people from these tyrants".